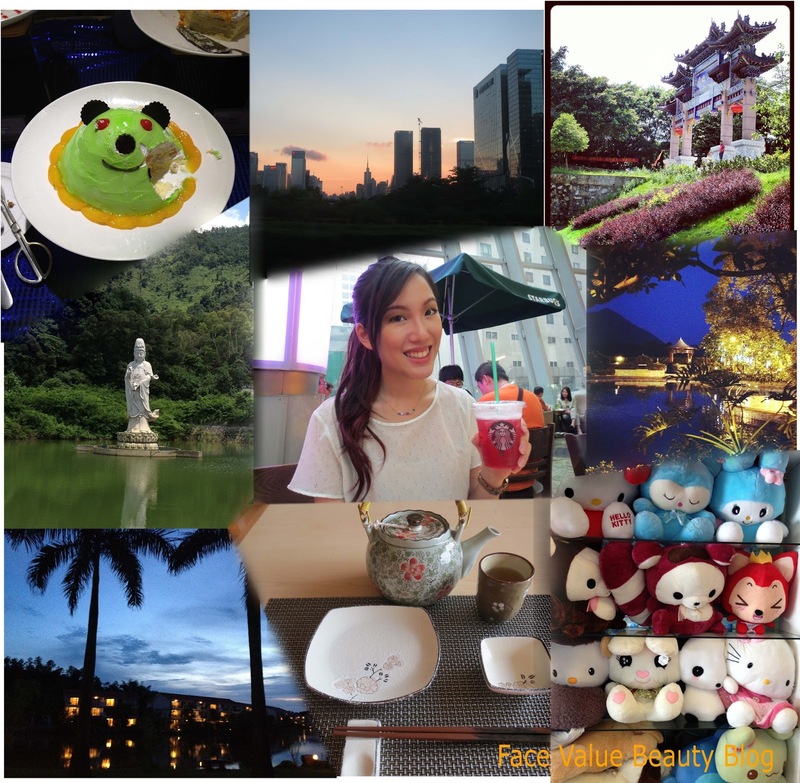 Hong Kong & China: My Asian Cosmetics Adventure! I’m back from the Far East with many a far-out story to tell and lots of photos to accompany the poor chat! Hooray! Bought lots, ate lots, absolutely melted in the 35 degree heat. The end. It’s actually really good to be back – I was massively surprised by the good weather welcoming me home – when I left it was like “10 degrees with chance of snow” and CHECK OUT THE GLORIOUS SUNSHINE NOW! Summer is finally here. HIYA. Well it all started very nicely with me treating myself to a Yves St Laurent Touché Éclat at Heathrow Duty Free. I also got given a free Dior J’Adore perfume sample with a cute little ceramic tag. Not sure what I’m meant to do with the tag though? Spray it and hang it in my wardrobe? Make it into a bag charm? Cradle it in my palm and coo at it lovingly? …Suggestions welcome. ANYWAY! 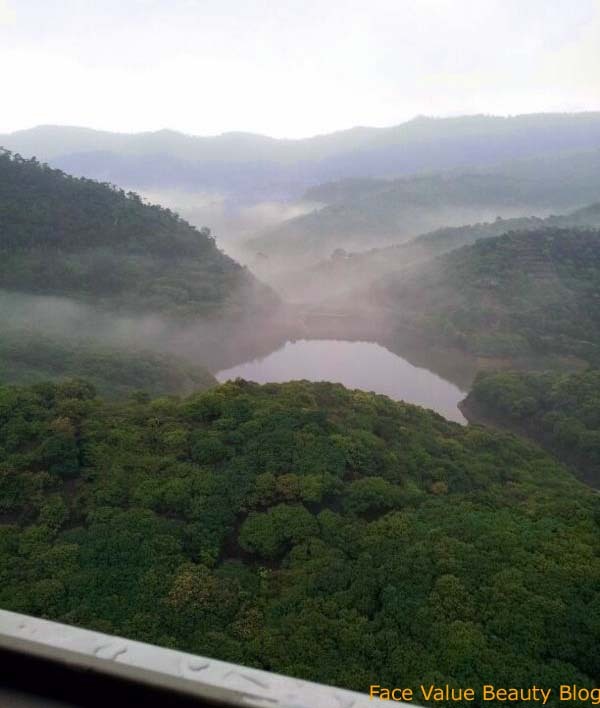 My parents have a new flat in China and it is beautiful – the view is just insaaane, it’s opposite a nature reservoir surrounded by stereotypical Chinese misty blue hills. The only downside is that the chirpy crickets can get a bit annoying after a while. Oh – and a bat crash-landed on the balcony one night. Casual. Other than censorship, I LOVE CHINA. I also ‘got mah nails did’ for a tenner – hands AND feet. Bargain. They went through some mighty vigorous soaking and trimming, in fact I’m pretty sure a peeler was used at some point but I didn’t want to look and I’m sure you don’t wanna know! Yeesh. But now I have almost respectable feet – so at least people will be less grossed out when I use my toes to pick up stuff. Yes, yes, probably still very grossed out yes but less so? Right? ..Right? Hong Kong is still my favourite for Beauty though. – I ended up with a lot of shiz I don’t need. Prime example – a drawer for my false eyelashes. Seriously. A DRAWER. For eyelashes! I cannot rave enough about these!! I don’t know what they’re called but I have dubbed them “Velcro hair hold-backers”. They are absolutely genius to hold back that annoying bit of fringe which is dangling around getting covered in foundation or getting all up in yo’ grill while you’re cleansing your face. 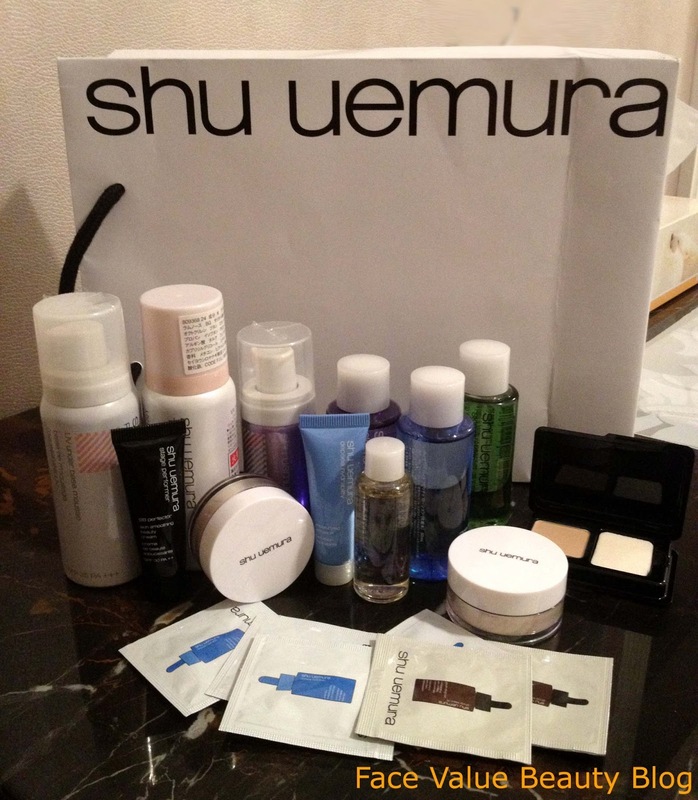 SOGO (equivalent of Selfridges in HK) was having an amazing offer week – I bought two of the Shu Uemura mousses and they came with free cleansing oils, loose powders and a little BB cream! To add to the holiday transformation, I also got my hair done in Hong Kong – ombré red but just in the under layers. You likey? Edgy enough for my Shoreditch neighbours but still conservative enough for the office? Hair maintenance just went up big time though – I’m having a ridiculously hard time trying to keep the red in. My towels are getting stained to bits, it’s like a murder scene everyone I shower! So what do you think of my buys? Have you tried any of the products I bought? Would love to hear your tips on maintaining hair colour – or, alternatively, a place to buy cheap towels! Do you pick up stuff with your feet too? Just me? Cool. Snow, Shopping & Maybe She’s Maybelline – Xmas in New York! 12 Days Of Christmas: Selfridges Beauty Advent Calendar revealed! Previous Post Dior Lip Glow Colour Reviver Balm: Di-awesome or Di-awful? I love Asian beauty products and cosmetics, they always look so cute and pretty!